Sabrina Webster, Lauren Thompson and Nakita Cutler of Premier with Blackpool's first electric taxi. Electric taxis have moved a step closer in the Lancaster district as part of a drive to tackle air pollution. Lancaster City Council has written to taxi drivers and operators asking for their views on bringing in greener cabs. This comes after the government announced that £150m would be made available for schemes to reduce emissions from buses and taxis. “The exact details of the schemes are yet to be announced but it is anticipated that the Government will be inviting funding bids at some point this year,” said a council spokesman. The London Taxi Company has just opened a new £300m electric cab plant in Coventry, the first new UK car plant in over a decade. The capital will require all new taxis to be zero-emission capable by the beginning of 2018. Our council will also tackle air pollution by spending a £288,000 grant to create 17 greener buses. Lancashire County Council is also monitoring the impact of the new Bay Gateway on air pollution. Plans were explained at a meeting of the council’s overview and scrutiny committee. In a report to councillors, Lancaster, Carnforth and Galgate were named as three areas where air quality has shown little improvement. But in many areas of the district, air quality has improved or been judged as “quite good”. 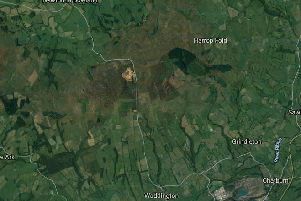 The meeting also heard that emissions from burning wood are also very high across the Lancaster and Morecambe district, which may be due to the high number of people installing wood burners in their homes. The main sources of pollution have been named as construction sites, industrial processes, aircraft, road transport, farming, home and commercial heating, shipping and fires. The main pollutants of local concern are particulate (a complex mixture of extremely small particles and liquid droplets which get into the air) and Nitrogen dioxide, which usually gets into the air from vehicles, power plants and off-road equipment. Air pollution can cause respiratory and cardio vascular problems, and there are growing fears it can cause cancer and dementia. Suzanne Lodge, Chief Officer (Health and Housing), said: “Local air quality monitoring results indicate that at many locations in the district, air quality has improved. “However the main air quality challenge in the Lancaster district, as in many parts of the country, is linked to emissions from road traffic, particularly in built up areas. “Contributions to air pollution, however small, are therefore more important than they may seem and everyone can do their bit to improve air quality. Simple things like walking to work or school or buying a lower emission vehicle such as an electric car or switching to a more fuel efficient car will all help to reduce pollution.